Whether you want to draw customers to your business with an updated look or provide your home with an attractive shade cover, Pacific Home & Patio of Boise, Idaho, specializes in enhancing your home or business with our high-quality residential and commercial awnings. Retractable awnings and fixed frame awnings provide protection from heat and harmful UV rays, as well as make your home or storefront more inviting. Your customers will notice the eye-catching retractable awnings or fixed frame awnings and appreciate the shade and privacy they afford. Completely customizable, you can choose from hundreds of colors and shapes to design your residential or commercial awnings. With a focus on design, we offer plenty of styles as unique as your business or home. Whatever your needs, we will work with you to design the awning that best suits your needs and personality. We pride ourselves on custom, top-notch service and have provided residents across the Treasure Valley with their outdoor remodeling needs for over 50 years. From Mai Thai to Micron, we’ve helped businesses and patrons alike realize their visions for their outdoor remodeling needs. Take a look at our before-and-after galleries to see how high-quality awnings can make an enormous difference in the appearance of your business. How your customers and visitors perceive your business can only be positively affected by newly remodeled residential or commercial awnings. 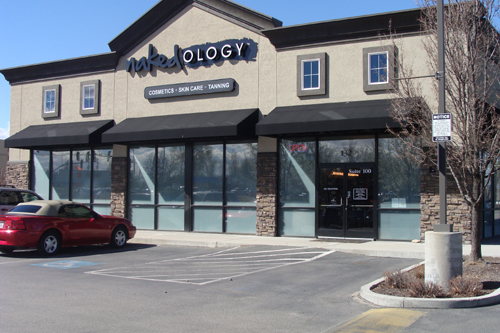 An awning adds life and color to a previously bare storefront window. Don’t hesitate to give us a call so we can get started on bringing new life to your property with a retractable awning or a fixed frame awning. From covering walkways to windows, we offer plenty of options. Choose from vinyl or acrylic covers to add character to your awning – we’ll lend our expertise to design an awning with your needs in mind. Your customers will immediately notice and appreciate the addition. We know it’s an investment, but we also know that high-quality remodeling is worth it. Good taste never goes out of style! Contact us at (208) 367-0000 for more information and a free quote on getting your residential or commercial awning installed.